Video: Seminar by Hayagriva das ~ The Toronto Hare Krishna Temple! Hayagriva das is one of our dynamic Canadian brahmacaris (celibate monks) and is based out of ISKCON Montreal. 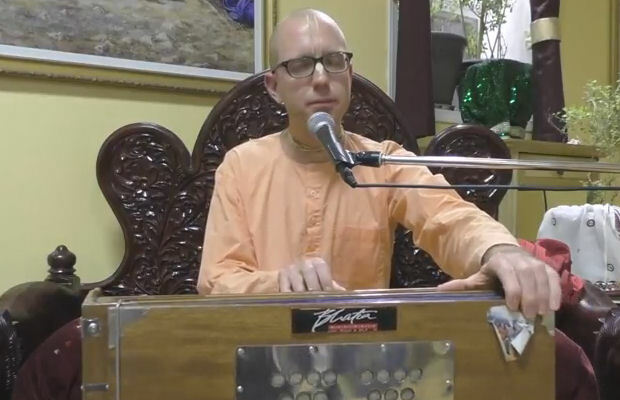 As some of our devotees may recall, he conducted a very nice seminar here at ISKCON Toronto last year in October on the chanting of holy names! Recently, he conducted a two-day seminarat ISKCON Calgary and it was captured on video! The first day was focused on the Holy Name. The second day was focused on how to see Krsna everywhere. Feel free to settle down in a comfortable chair with a notepad and pen and watch this very nice presentation! Hare Krishna!